Russia’s Fedor Emelianenko is preparing for an encounter with one of the best American mixed martial artists. The Last Emperor is set to face American Jeff Monson in Moscow on November 20, knowing defeat could spell the end of his fighting career. - the words of a man who dominated the mixed martial arts heavyweight division for a decade. That changed last year. Fedor Emelyanenko suffered his first defeat in June 2010. Brazilian Fabricio Werdum forced the Russian to tap out. That, in essence, kick-started a downward spiral on the canvas with subsequent losses to Antonio Silva and Dan Henderson. Retirement had been an option for the 35-year-old, but Emelianenko insists he is far from done and wants his throne back. “In the three bouts I lost, I felt like I could've won. But the win somehow eluded me. I felt I could do it. I had chances, but God's will was different,” says Fedor. The opportunity to get back to winning ways will be a unique one. Fedor is set to take part, for the first time, in a Pro Mixed Martial Arts clash in Moscow. Jeff Monson is the man who stands between him and redemption on November 20. The 40-year-old is a two-time World Submission wrestling champion who got his nickname "Snowman" from his Brazilian Jui-Jitsu counterparts as a mark of respect for his ice-cold demeanor under pressure. “Fedor is a legend. I said a long time ago that he's the best heavyweight of all time. To have the privilege to fight him is an honor. But I'm gonna train hard and I only take fights and expect to win. But it's gonna be a very difficult challenge,” says Monson. Those sentiments find an echo with Fedor, for whom it is less a fight than the re-launch of an entire career. No stone, it seems, has been left unturned in the build-up. 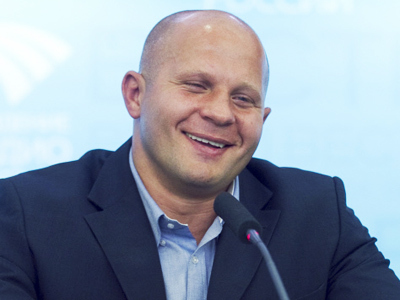 “Fedor will have a great training camp in the Netherlands with both strong wrestlers and stand-up fighters there. I'm going to invite Vinnie Magalhaesh. He's just won the world submission wrestling championships, and beat no less than Fabricio Werdum in the finals. So he can be considered the world's best wrestler at the moment,” Fedor’s promoter Vadim Finkelstein shared. 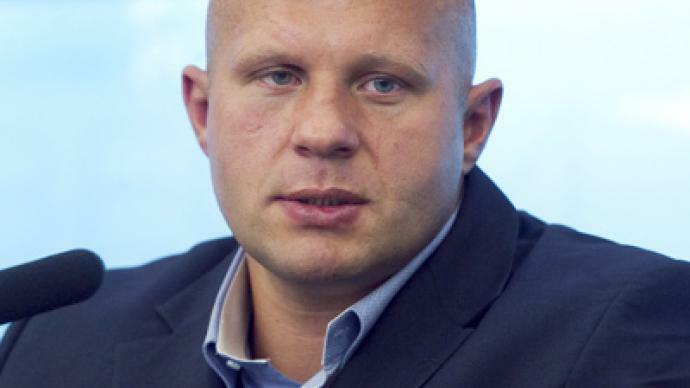 There are no end of fans looking forward to seeing Fedor rise again, but the man himself is remaining composed as usual. “Victory. That's what will be at stake for me in this match. And I will fight for it,” he pledges. His greatness is beyond question, his legacy secure, though one suspects Fedor himself believes a win next time out is the only option.